In the southeast corner of Washington State, amidst undulating hills of wheat fields on the Palouse, the City of Pullman, population 31,000, is bringing MUSIC & MEMORY℠ to a new level of holistic care. 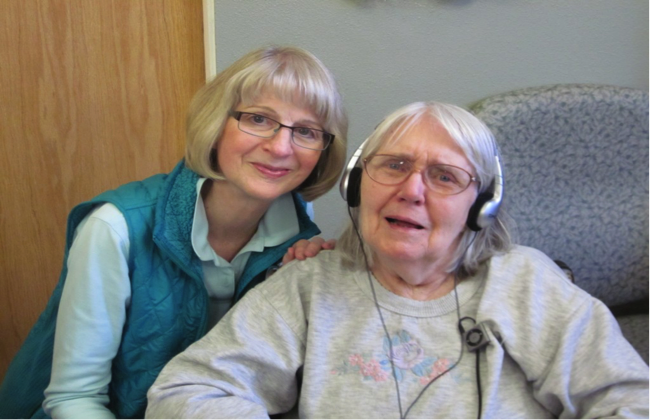 This regional, integrated approach to personalized music, called MUSIC & MEMORY℠ on the Palouse, has gained traction due, in large part, to the efforts of volunteer dynamo Ginny Hauser. One evening, after the class had completed a unit on dementia, the group went to see a screening of Alive Inside that was co-sponsored by the hospital (CO-SPONSORED WITH DACNW). “I thought, why couldn’t it happen here?” Ginny recalls. Inspired, she asked the hospital’s Volunteer Coordinator, Jessica Rivers, whether they could bring personalized music to the hospital. Jessica gave her an enthusiastic thumb’s up and promised to cover training costs through her volunteer program budget. After completing MUSIC & MEMORY℠ Certification training with Jessica and other hospital volunteers, Ginny began to build an iTunes Library for the hospital with donated CDs. She wrote a grant funded by the Pullman Regional Hospital Auxiliary to buy a laptop, iPods, iTunes credits and other supplies to implement the program. She began to create playlists for patients who were identified by clinicians as individuals who might benefit from the music—in particular, patients with high anxiety, uncontrolled pain, who were lonely or depressed, or who were in the hospital for extended stays. Hollie Mooney, Executive Director at Circles of Caring, echoes those sentiments. Ginny wrote another successful grant proposal, this time funded by the Pullman Rotary, to cover training and a dedicated laptop for the adult day health services center. Circles of Caring serves 30 participants, averaging about 18 people on any given day, who range in age from 29 to 99. Ten are currently using iPods with their personalized music. 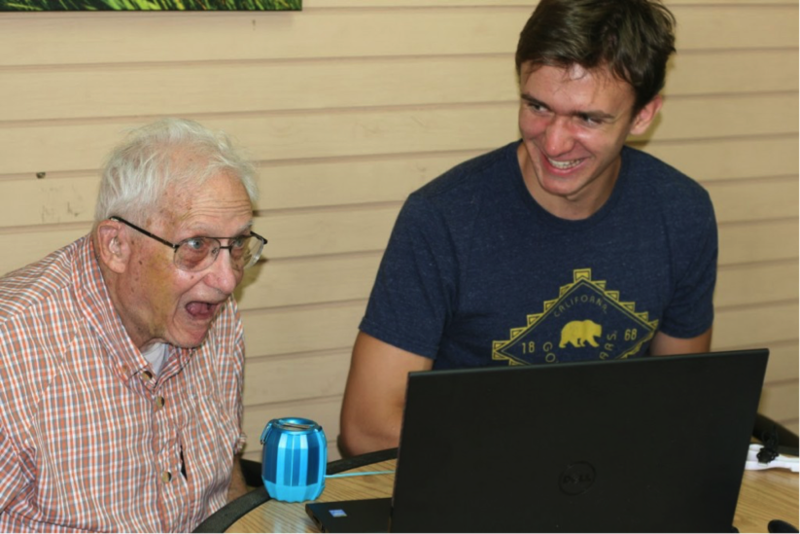 Founded in 2010, MUSIC & MEMORY℠ is a non-profit organization that brings personalized music into the lives of the elderly or infirm through digital music technology, vastly improving quality of life.